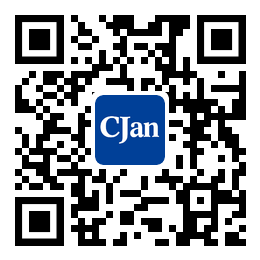 ﻿ How to use rubber hoses correctly？ - CJan Fluid Technology Co., Ltd. Learn how to avoid common mistakes with the suggestions below. 1, Be sure to use the hose in the recommended temperature and pressure range. 2, Rubber hose will expansion and contraction with internal pressure, please make sure the rubber hose is slightly longer than your desired length. 3, When the pressure is applied, please slowly open / close any valve to avoid shock pressure. 1, Make sure the type of fluid is suitable for the hose. 2, If you want to use rubber hose to deliver oil, powder, toxic chemicals or strong acid or alkali, it may be a good idea to ask our technician just to be safe. 1, The minimum bending radius of the rubber hose is the smallest allowed radius the hose is allowed to be bent around. otherwise it will break the hose or reduce the pressure resistance of the hose. 2, Please do not bend the rubber hose as far as possible when it is used to deliver powder or particles in order to avoid wear hoses. 3, Make sure the hose not in extreme bending state near the fitting parts, this could be avoided by the use of elbow. 1, Do not set the hose close open fire. 2, Please protect the hose from being crushed.